SENASA Registry : SENASA Perú:A.16.05.N.0082. Each 100 g contains: Iron (as iron-AHM*) 3500 mg, Zinc (as Zinc-AHM*) 4000 mg, Copper (as Copper-AHM*) 1000 mg, Manganese (as Manganese-AHM*) 1500 mg, Iodine 15 mg, Cobalt (as Cobalt-AHM*) 10 mg, Selenium (as Selenium-AHM*) 20 mg, Chrome (as Chrome-AHM*) 13 mg, *Methionine (AHM) 28 000 mg, excipients q.s. 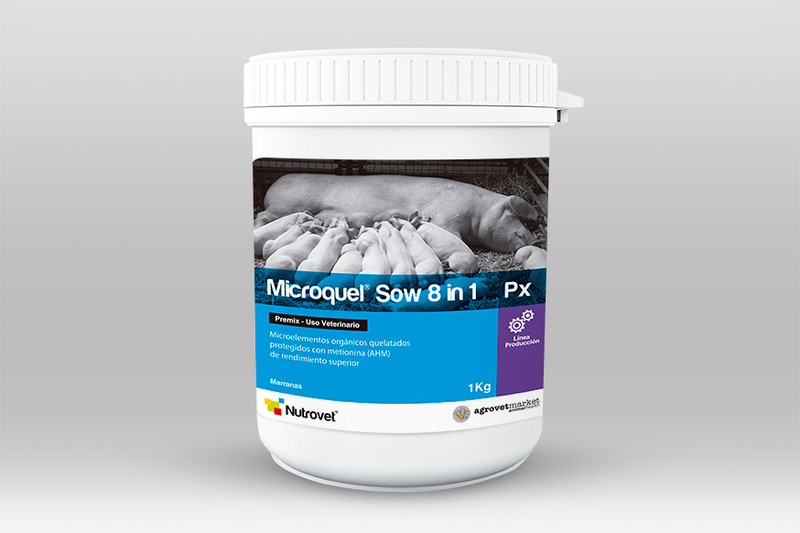 ad 100 g.
Covers the requirements of microminerals on sows, optimizing their genetic potential for optimal growth and development. Prevention and treatment of mineral deficiencies associated with the formula. The organic chelation with AHM protects minerals from non-desired reactions in the intestine. 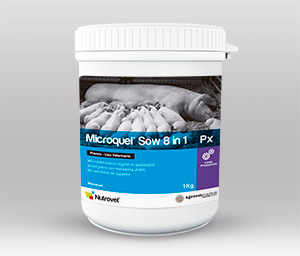 Its inclusion in the food formula of the sow allows improving the palatability. General dose, 1 to 2 kg/TM of food (1 to 2 g/kg) o according the indication of the veterinarian or nutritionist.